Looking for a way to get more involved with your local chapter or division? Join or start a Young Planners / Emerging Professionals Group! 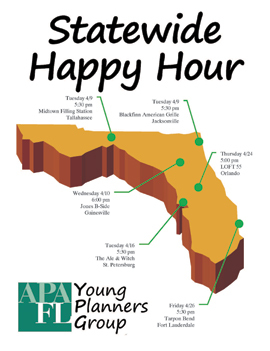 APA's Young Planners / Emerging Professionals Groups connect the new generation of planners with seasoned professionals and open opportunities to meet colleagues, build skills, and volunteer. Participating in YPG events is a natural path to making new friends, expanding your network, and finding a professional mentor. Plus, it's fun! If your chapter or division has a group that isn't listed, please contact Monica Groh, Director of Emerging Professionals. A how-to guide created by a consortium of YPG leaders across the country.